Postal letters can be sent through PostalMethods by simply sending an email message with an attachment. We have easy to use templates to ensure your letter looks great. Use the PostalMethods Web Form to send letters & postcards quickly and easily. Just fill in the recipient and return addresses, write the content of the letter or paste content from MS Word and send the letter on its way. For the technically advanced, we provide the ability to integrate your application or service to our Postal API. We provide code samples to many different applications. Think your project doesn’t fit the mold? Let us help you find the solution for your print and mail needs. Contact us today. Expect more. PostalMethods will deliver. Mailing documents such as letters, invoices, notices, contracts and more can be a labor and a time intensive task. It’s no surprise that many people are now looking for more efficient ways to send mail. Postal Methods service offers a modern, quality controlled and secure service, removing the need for you to purchase equipment, employ staff and manage the process directly. From the moment we receive your data to final dispatch we handle everything. Send letters securely and reliably from any business application. 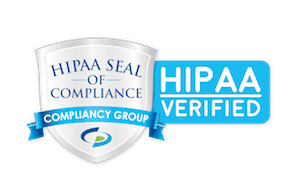 We are proud to be a HIPAA Compliant and SSAE Certified print and mail provider. Your customer data security is of the utmost importance to us. We manage all aspects of your mailing needs so you you can reach more customers, save more money, and have more time to run your business. Whether you have daily, weekly, monthly or one time mailings we can help.